A fall in the average house price in South Belfast of over £20,000 in the last quarter is a “worrying” development, a local estate agent has admitted. 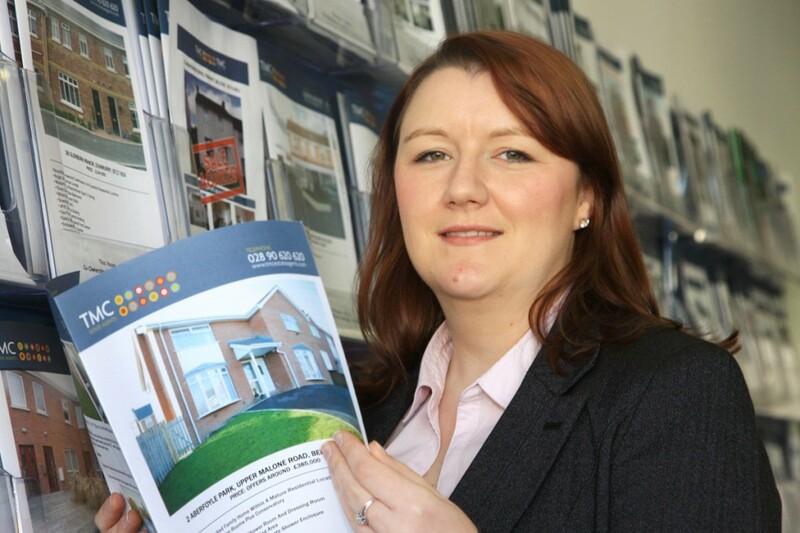 However, Debra Baker of TMC Properties on the Upper Lisburn Road urged people in South Belfast not to overreact to the news, which was revealed in the latest University of Ulster House Price Index, released last Thursday (November 17). It showed the average house price here in the third quarter was £196,182, a rise from £183,560 in the same period last year. However, much more stark was the fall from quarter two of this year in which the average price was £217,631. Ms Baker said the fall of £21,449 in the average price here was due to a lack of finance available and therefore buyers in the local market were few and far between, as well as a shortage of houses coming onto the market. “It certainly is a worrying situation because the average price dropped such a big amount in a short period of time. But the simple fact is if there aren’t the houses coming on, there won’t be as many to sell and house prices will continue to drop. “The lower end of the market is still showing some movement and we’ve recently had a couple of sales going through at the £125,000-£130,000 mark. But the upper end of the market is still very slow indeed. Despite the fall, South Belfast once again had the highest average price across the city. In the constituency the average price of terraced houses, townhouses and semi-detached houses are all slightly down from the previous quarter, while apartments are close to level – £165,906 in quarter three as opposed to £167,039 in quarter two. Ms Baker said it was important for people wishing to be on the housing ladder not to overreact to the latest news. “There is an awful lot said about house prices, especially in South Belfast, which people hear and start to panic because they then think they can’t sell now or might not be able to sell at all. “That said, it shows how bad things are when even South Belfast is affected, as it’s normally a bit more isolated from whatever else is happening. We have another office on the Cavehill Road and really noticed a big drop there. She said she was expecting “very little” change in the forthcoming quarter as well. “We will possibly have one or two houses agreed with people who are very keen but once December comes I expect that to be it for sales for us.